Errors in medical billing are a serious problem in healthcare today. 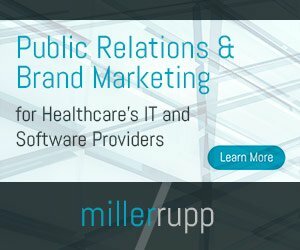 By some estimates, as many as 80 percent of all submitted bills contain some sort of error, which leads to increased costs for Medicare, insurance carriers and patients, but can also lead to coverage denials, reduced reimbursements for providers, and in some cases, impacts on patient care. 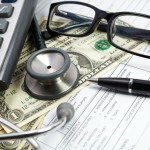 While many organizations have placed a priority on avoiding billing errors, they still occur. And with the upcoming transition to ICD-10, home health and hospice providers are under even more pressure to get billing right the first time, every time. By most accounts, providers can expect to see a spike in rejected claims during the first few months of ICD-10 implementation; some estimate that as many as 10 percent of all claims will be rejected as coders get used to the new procedures. That’s bound to have an effect on payments and cash flow, so it’s vital that agencies work with their billing offices to identify common errors now, and look for ways to overcome them. Ideally, home health agencies should be in the final stages of preparing for the launch of ICD-10 now. August 3 marked the beginning of the 60-day episode period that would end on October 1, when ICD-10 goes into effect. This means that agencies that are beginning care episodes now are required to submit RAPs in ICD-9, but code them in both ICD-9 and ICD-10, so that when the final bill is submitted to Medicare, it will be in the correct format. In many ways, this gives home health providers an advantage, since they will have two months’ worth of practice with the new codes on almost every chart, where most other providers are only practicing dual coding on some charts. Because of the dual coding requirements, most home health providers have already switched to an ICD-10 compliant software solution. Now is the time to identify gaps in training, and adjust intake procedures, forms and other resources that affect how services are billed. Mitigating potential obstacles now will prevent denied claims later, and smooth the transition. We are nearly three months removed from the oft discussed ICD-10 deadline, currently scheduled to take effect Oct. 1, 2015. Barring any last-minute shenanigans by those in Washington, there is little do but wait, and prepare as best as possible for the transition to the new code set in the time remaining. While there remains plenty of activity on Capitol Hill to, in the very least, delay parts of the roll out of ICD-10, there are countless organizations and individuals who are actively lobbying against a change to the 10th version of the International Classification of Diseases. For example, the American Medical Association has been a staunch antagonist rallying its members against the change. And, as recently as May 2015, the Heritage Foundation, with its report titled, “The New Disease Classification (ICD-10): Doctors and Patients will Pay,” made some strong recommendations against it: “While an updated diagnostic system for disease classification might be in order, there are significant costs and trade-offs,” write Heritage authors John O’Shea, MD, and John Grimsley, reported by Healthcare IT News. “To protect practicing physicians and other healthcare workers from such an unfunded mandate, Congress should delink the disparate goals of research and reimbursement, and develop a more appropriate coding system that makes the billing process less, not more, burdensome. However, given this level of dissent toward ICD-10, or the level of dissent that’s reported by the major healthcare news organizations, there’s actually a good deal of support for the change in code sets. When asked about moving ICD-10 forward or further delaying it, the responses received by Electronic Health Reporter were overwhelmingly in favor proceeding with the current timeline, and by no small margin. The following comments from some of healthcare’s insiders provide proof of that, and show that there are those among us that want to move on as soon as possible, and put the past to rest. I can honestly say with a resounding yes, I am in support of the ICD-10 transition. At this point, I feel any provider that is not ready for the transition, will never be ready and any further delay will add more burden than relief. I have been teaching ICD-10 since 2011 and I know the providers that I spoke to before the last delay were frustrated with the amount of time and most of all money that was spent only to have it delayed one more year.